A Binding Bar Set is a simple and affordable product that allows you to hang lightweight posters and banners from walls and ceilings for optimal visibility. 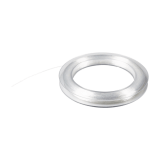 The bars are available in three different lengths to suit your needs and we also offer a cut to length service if you require a bespoke size. What size material can the gripper hold? 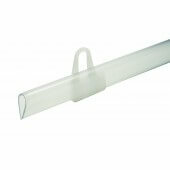 The binding bar gripper is designed to hold a variety of materials up to 1mm thick. 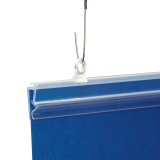 The binding bar has a clear finish for a discreet appearance when hanging banners. What is included with each pack? 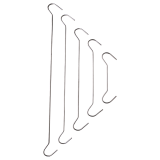 Each pack includes 10x lengths and 20x hangers.